What is happening in Murray County? Looking for a place to park your camper this season and enjoy one of Murray County's prettiest lakes? There are a still a few seasonal campsites available at Seven Mile Park in Fulda. Check out the website for more information. The Fulda library is hosting a event with board games this afternoon. Put down those electronic devices for awhile and have fun with the classics. There are a few dinner theater opportunities coming up -- get those reservations made and don't miss out! Step out to e njoy pancakes, maple syrup making or baked ham at three separate events. Yum. Coming up next week, you can get your kids photos taken with a baby chick or participate in one of many Easter Egg Hunts on the horizon. Have a super week and enjoy the great weather. 8:00 p.m. Entertainment "Take Note"
Ham, Mashed Potatoes, sweet corn and more! 10:00 a.m. - 2;00 p.m.
10:00 a.m. - 3:15 p.m.
Entertainment by the " The Dueling Duo"
This is the funniest show ever!! 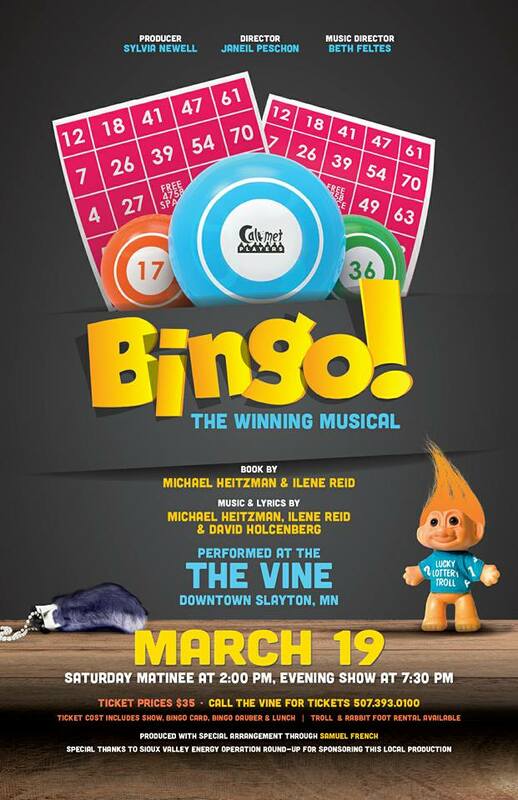 Musical numbers, great food, and guests get to play 3 games of Bingo!!! 507-393-0100 is the number to call for reservations!! 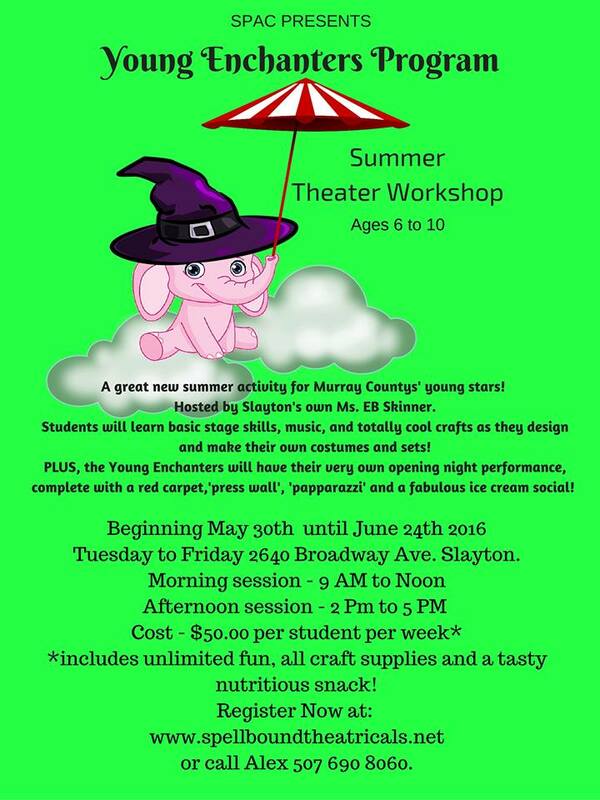 A great new summer activity for Murray County's' young stars! Hosted by Slayton's own Ms. EB Skinner. Students will learn basic stage skills, music, and totally cool crafts as they design and make their own costumes and sets! It is Spring! Why not get out and enjoy the Casey Jones Trail? Murray County has plenty to see and do. Want to go swimming? Fulda provides that all year round and get ready for fun at the Slaytona Beach West this summer. Looking for a good book? We have two public libraries to help you find what you need. Need that perfect gift? Check out our many retail opportunities. Dining? We certainly have some of the best restaurants around!